This article covers the Honda HondaJet price or cost for a new and used HondaJet. A historical overview of the price of a new HondaJet is covered first. Following that section is an overview on negotiating the price of a HondaJet or any aircraft. Details on the cost of a used HondaJet is provided at the end of this article. Over the years the price of the Honda HondaJet has increased as it neared entry into service. The HondaJet price in 2006 was set at around $3.6 Million Dollars (USD) $3,600,000. In 2015 Honda Aircraft Company reported that the Honda HondaJet price was around $4.5 Million Dollars (USD) $4,500,000. That HondaJet price was based on ordering a new HondaJet position. This is around a 25 percent increase from the original 2006 price. During the end of December 2015, Honda began delivering the aircraft to customers. In 2016, the HondaJet Price was reported to now be $4.85 million dollars ($4,850,000). This represented another increase in the price of the jet. The $4.85 million dollar cost is the base price for the light jet and does not include options that are available for the aircraft. When compared to the 2006 price, the 2016 price represents a 34.7 percent increase. The HondaJet cost is approximately $4.85 million, however, this does not include other fees and potential taxes for the jet. When adding those additional fees to the price, the cost of a HondaJet can be much higher than the $4.85 million price tag. The price of an aircraft can be negotiated with an aircraft manufacturer. In the commercial aircraft market, all airlines negotiate deals that lower the cost of an aircraft to around half of the published list price. The private/business aircraft market is different, however, and deals of that magnitude may not occur. Aircraft manufacturers need to sell aircraft to stay in business. With more airplanes flying in the sky, a manufacturer will have more aircraft to support and provide services to. This is an important revenue stream that manufacturers take into account. With that in mind, an aircraft builder, like Honda Aircraft Company, will always be looking to make deals to sell more aircraft. To negotiate the price of a HondaJet, a comparison of similar aircraft and their prices must be taken into account. One of the best ways to negotiate is to “not negotiate”. Another factor in the pricing of the jet is to consider the price of a HondaJet in 2006, which was much lower than the 2016 base price. This price differential can taken into account. The HondaJet light jet has been in the market since December 2015. As of December 2017, there seems to be an active market of used Honda HondaJets. Based on our research there are 2017 HondaJets that have been listed at $4.395 million United States Dollars (USD) ($4,395,000). 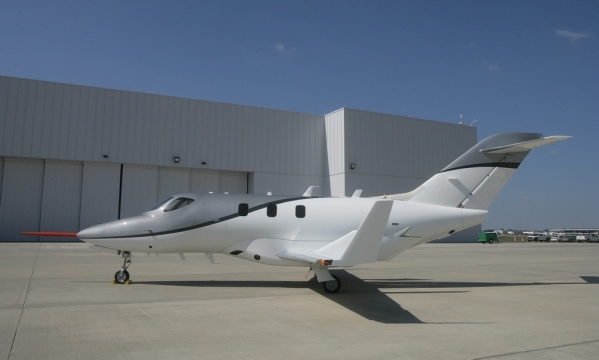 A Used HondaJet Price is likely to range from $4 million to $4.395 million dollars. Most of the early HondaJet airplanes were purchased at a price much lower than the 2016 $4.85 million dollar price. Many were originally purchased for the 2006 price of $3.6 million dollars. Those jets that are for sale in the used aircraft market may look to be priced under the $4.85 million dollar price, however, many are actually priced above the owner’s acquisition price. When purchasing a used HondaJet the cost should be below the $4.85 million dollar new price. In fact the cost can be considerably below the new price of the jet, because the early orders were priced at a much lower price. You can learn more about HondaJet light jets for sale here. To learn more about the HondaJet, please visit the other pages that are here on the site.